Remember the Palmer United Party? Better still, remember when Clive was aiming to revive the name for the Liberal Party before they were the Liberals? No. It was a thing…! ANZAC Day saw a great many things – football, partisan voices continuing to whine about Leigh Sales, arguments about Catherine Deveny. I deal with all that here, back at my blog, the Preston Institute. The most interesting part of it for me, however, was Lateline, where we saw the re-entry of Clive Palmer on the national stage. It was here we saw a harkening back to the past, with an announcement that Palmer is wishing to reanimate the United Australia Party. The United Australia Party brings an interesting note to this election, in that it brings the politics of Depression Era Australia to mind. The UAP was a party born of that time of great upheaval in Australia’s history, where we had many economic problems that needed immediate solutions, unlike the current age. It was made up partially of Labor defectors unhappy at the radical economic policies of “Red” Ted Theodore (a hero of Bob Katter’s, but more on him later), who was wishing to rebuild Australia by expanding credit to small business and farmers. 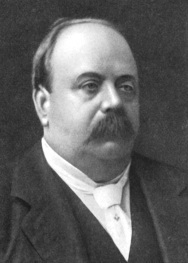 The defectors, led by Scullin cabinet minister Joe Lyons, the former Premier of Tasmania, were a more conservative bunch, preferring instead the orthodox austerity / reduction of government spending policy suggested by British consultant Otto Niemeyer. This battle between government spending out of economic problems and government austerity may sound familiar, especially as Abbott, his party and their fellow travellers in the media tend to mendaciously talk of our economy as if we are still in the early 1930s. Conservatives like Bob Menzies supported such austerity in those days too and hence the UAP was born from the combination of the forces. Thus we have the irony of the predecessor of the current Liberal Party being formed and led by a former Labor Premier and cabinet minister. A successful one, too – it stayed in power from 1932 until 1941 – and even with support from 2 independents in its later days (sound familiar?) 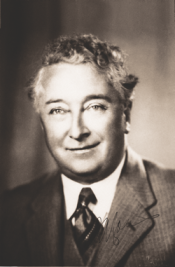 The history of the party and its activities is fascinating, especially when one considers that they needed the Country Party as supporters, even though the leader of the Country Party loathed the second leader of the UAP, Menzies, so much that he conducted a staggering attack in parliament – which makes the current political stage sound positively stable. Which it is. One can’t get many of our current journalists, who breathlessly declare that these are unstable times, to face that fact. There’s something that rings a little odd here. These are not financially straightened times, no matter what we are told by contextually challenged politicians and media outlets. We are nowhere near the Great Depression. Yet we have two politicians from Queensland seemingly wishing to reanimate 1930s politics in the current era – Clive Palmer and Bob Katter. I remember Bob Katter’s appearance at the Sydney Writers’ Festival, where his love and admiration for old Labor, especially Ted Theodore, was the focus of his thought. It is little wonder, considering Theodore’s answer to the depression was extending Keynesian style credit to small businesses and farmers. Katter’s policies seem at this point to be a mixture of this kind of support for farmers and small regional businesses as well as strong whiff of protectionism, which was more Lyons’ bag. This is where criticism of Katter’s attitude to marriage equality miss the mark. Katter himself has little to no interest in policies he sees as irrelevant social “fads”. His obsessive focus is on first a Theodorean Agrarian Socialism, designed to funnel support to what he sees as the new growth areas of Australia. The second focus is to wean the economy from the globalised neoliberalism which ensures Australian businesses and manufacturers are disappearing. Hence his loud support for the AWU and its leader, Paul Howes, who has a similar focus on jobs in manufacturing and other industries covered by his union, no matter the possible environmental costs. Palmer, however, seems to have less in common with the 1930s politics of which he is trying to exhume. 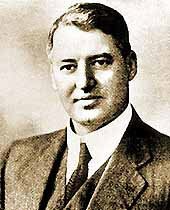 His policies, as he pointed out to Tony Jones, are pretty much Liberal National Party policies, with the exception of five things – Eschewing Lobby Groups; Welcoming Asylum Seekers by Flying them to Melbourne; Repealing the Carbon Tax retrospectively; Increasing Downstream Mining Processing in Australia; Distributing Wealth to the place that generated it. These aren’t policies of a United Australia Party started in order to introduce a more conservative method of paying debt. Instead, it’s populism mixed with hard headed economic manipulation. The eschewing lobby groups platform smacks of the type of populist talk we often hear from the US – “I will go into Washington and tell the lobbyists and staffers to scoot”. It’s as impossible as running a government without a public service. The welcoming asylum seekers policy is also populist – it’s offering a simplistic solution to a complicated issue. A cynic would point out that Palmer and his fellow mine operators have been as one on the issue of asylum seekers – as well as the idea of setting up special economic zones where employees could be paid a lower wage. Like asylum seekers desperate for work. I am that kind of cynic. The repealing the carbon tax and increasing the processing of ore here are also populist policies designed to appeal to people in areas outside Palmer’s Queensland. People wanting to keep jobs in the industrialised south would be attracted to Palmer’s simplistic plan – as would people living in WA and Qld who are sick of seeing things taken from their areas, just to see resources plunged into the “southern cities”. In the last plan, Palmer’s thinking is closer to Katter than in other areas – though with different targets, I would imagine, for that money. I can’t see Palmer being overly interested in small business and farm credits – though I can imagine him, Tea Party style, wanting to try to appeal to that sector of the community. So as much as Palmer claims he is starting a new party of which he would only be a mere member and is trying to evoke memories of past leaders like Lyons and Menzies, he is a shadow of that. It’s more like if Citizen Kane, faced with the realisation that he can’t run for public office, thinking instead that it would be fun to run his own political party. It is easy for people, however, to write off Clive Palmer on the basis of Lateline interviews, where Tony Jones often peppers a number of his interviews with a knowing smirk or arch comment. He does come across in such interviews as a buffoonish character, very much in the mould of a politician before Lyons, et al – George Reid, leader of the Free Trade Party – a former NSW Premier and one of the first PMs of the Federated Australia (I thank @landcaretim for the comparison). He, like Palmer, was lampooned for his appearance and flamboyant form of expression, but gained respect and traction in his time for his forthright views, personal appeal and canny political nous. Though, in terms of comparisons, we don’t really know how much of a Free Trader Palmer really is. Palmer’s populism and cache as a rich, successful businessman may play well in certain regions and with voters tired of the cliches spun by Gillard and Abbott. He answers questions directly, unlike both of the leaders of the majors and may attract those voters who are seeking a change from the norm. And unlike Katter, he will control his party structure and message delivery with more discipline. He and his party will be an interesting element in this election.